One of the best ways to get to know a new country is, of course, by seeking out its cultural offerings and studying its history. 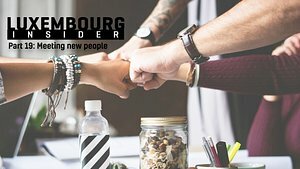 Luxembourg offers a huge number of museums, musical and theatre venues, and other cultural offerings given the size of the country and its population. That’s great, of course, but also makes it harder to know where to start - which is where I come in! First though, I should make it clear that this guide will not provide a full breakdown of museums – you’ll find a pretty good one here – instead, I’ll be focusing on the three UNESCO world heritage sites* as a good place to start. I may just sneak in a bonus recommendation or two along the way as well, though! 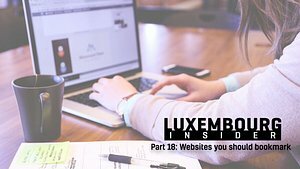 *Before any of you e-mail in, while Luxembourg offers three UNESCO world heritage-listed cultural entities, only one is an actual ‘site’. The others are, well, you will find out below! UNESCO also note that the authenticity of both the old quarters and the fortifications remains high, despite being subject to many assaults from the 15th to the 18th century. 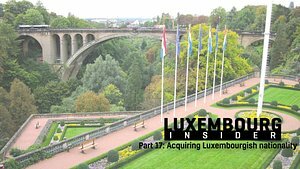 It would be difficult not to note these features as you walk around Luxembourg city, so I doubt an of you will have missed this particular world heritage site. Seeing the old quarters and fortifications is one thing, but how much do you actually know about them? There is a lot of interesting history to be read, and much of it is available in English. The best place to start is the UNESCO website (which also has plenty of photos and two videos). 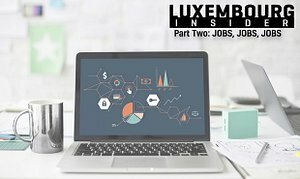 Luxembourg’s official portal – Luxembourg.lu - also offers plenty of easily digestible information. For more visual learners I would recommend a visit to Musée Dräi Eechelen, which you’ll find right next to the MUDAM (modern art museum) in Kirchberg. If you happen to be walking around old town, the easiest way to get there is to take the funicular by Pfaffenthal up to Kirchberg and it’s a short walk from there. 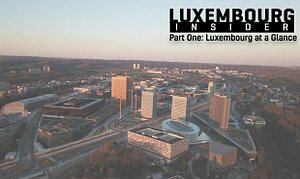 More information about the museum here (Visit Luxembourg) and here (Musée National d'Histoire et d'Art). The Bock Casemates, a series of interconnected underground tunnels right in the heart of the city. They are part of the UNESCO world heritage site, can be visited throughout most (but not all!) of the year. 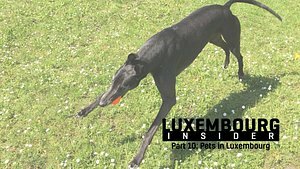 To avoid disappointment, check the Visit Luxembourg website for dates, times, and prices. 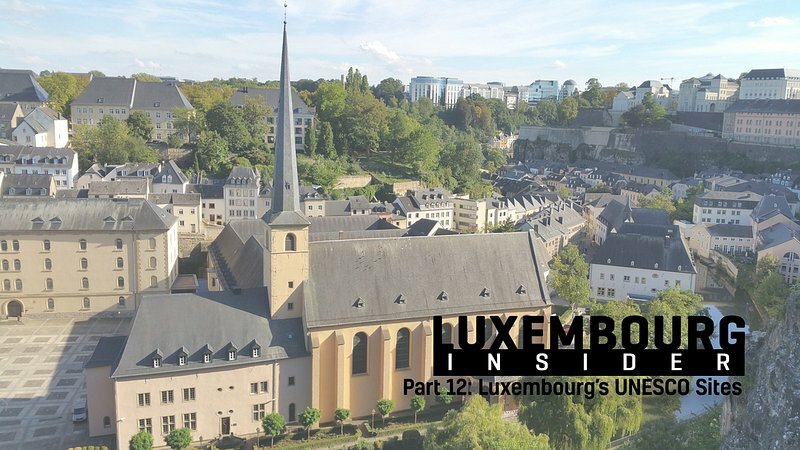 The second UNESCO-listed offering in this week’s insider guide to Luxembourg is, as the title above would suggest, Edward Steichen’s The Family of Man. This legendary photography exhibition was first presented at New York’s Museum of Modern Art (MoMA), Luxembourger Steichen served as director of photography, after which it toured the world and was shown in over 150 museums. It has now found its permanent home at Clervaux Castle, where it is a part of UNESCO’s Memory of the World-list. The exhibit consists of 503 photos by 273 photographers, conceived as a “manifesto for peace and the fundamental equality of mankind.” You will find opening hours and visitor information here, and entrance to the collection is €6. While you are in the north-east of the Grand Duchy, you may also want to stop by Vianden castle. Clervaux is certainly both beautiful and impressive but, I dare say, Vianden castle may just have it beat – not least if you take location into account. More information here, should you be interested. Fans of Steinchen may also be interested in The Bitter Years, which was the last exhibition he curated in his role as director of photography at MoMA. 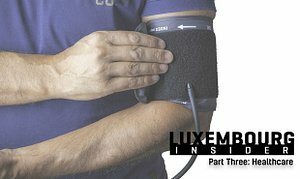 You can view the exhibit at Waassertuerm in Dudelange – more information here. Finally, you can view more of Steichen’s work at the national museum of history and art (MNHA) in Luxembourg City. Perhaps the oddest entry out of the three, Echternach’s hopping procession was included on UNESCO’s ‘representative list of intangible cultural heritage of humanity’ in 2010. It’s a tradition that’s believed to go as far back as 7th century, though written records ‘only’ go as far back as the 12th century. Thousands of dancers line up in rows of 5-6 people, linked together by holding the tip of each other’s handkerchiefs, and hop in a set pattern up to the tomb of St. Willibrordus. While this started out and to some extent remains a religious event, it has also become cultural tradition which attracts thousands of spectators and pilgrims each year. You’ll have to plan ahead a bit to catch this particular event as it only happens once a year on Whit Tuesday. The date for 2019 has not yet been announced, but if you keep an eye on this page they will update it once a date has been set. It will likely be the 11th of June, but don’t hold me to that if I turn out to be wrong! 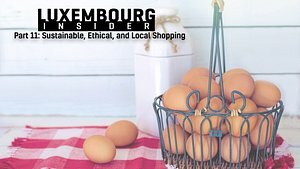 I’m tempted to say “the city of Echternach!” here, as it’s a lovely little town worth a visit in its own right – hopping or not! If you haven’t been, I would definitely recommend heading over on a Saturday and going for a walk around the city centre and along the Sauer (river). The Abbey of Echternach, which dates back to the 7th century, is also highly worth a look.